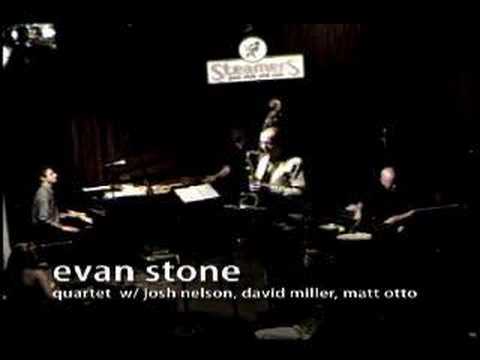 Evan Stone Quartet- "Giant Steps"
Evan Stone Group plays "Caravan"
Evan Stone Quartet - "Beatrice"
Evan Stone Trio - "Leisure Nation"
Evan Stone Jazz "Up Jumped Spring"
"Great to hear classic jazz performed by a very competent muso. Innovative. 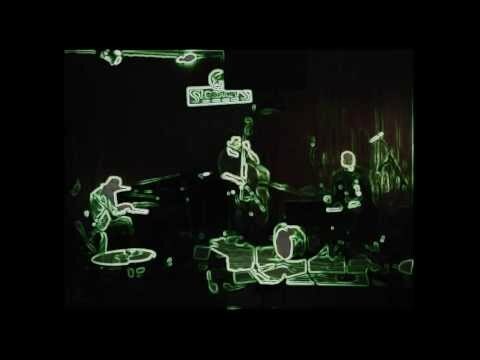 contemporary jazz at its best." "Sticks and Stone is a superbly played collection by a great band. I added several tracks to my playlist and feature them on my national radio show "A Jazz Hour" broadcast across Australia via the CBAA network." Evan most recently finished touring and recording a live Concert DVD for Hollywood Records Pop act Aly & AJ. 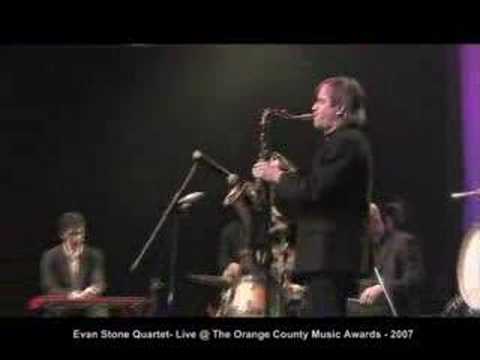 Evan Stone has toured the United States with trumpeter/bandleader Maynard Ferguson and traveled throughout Australia and New Zealand with pop artist Toni Childs. Evan formed the Progressive/New Thing Rock band Salty The Pocketknife which released their debut recording in 2003.
" The original compositions of Josh Nelson , Joe Bragg and Matt Otto are the highlight of this album alongside the great choice of standards (East of the Sun-Lovely sax playing!) ,Moonlight in Vermont-Great vocals! and You and the Night...That Tenor again!!) and the superb drumming of their leader. Sticks and Stone is a superbly played collection of the above by a great band. I have already added several of the original tracks to my playlist and will feature them on my national radio show "A Jazz Hour" which is broadcast across Australia weekly via the CBAA network. This album is fantastic. I Love the material, arrangements and personnel. 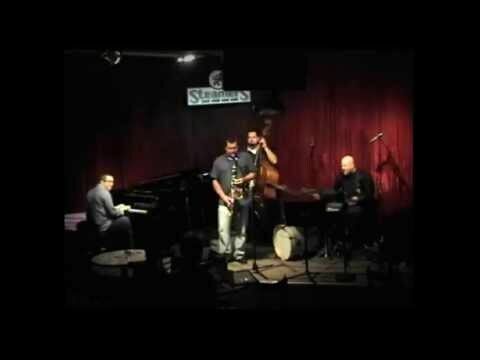 It is easy to see why this quartet recently received Best Jazz at the 2006 and 2007 Music Awards. It is a privilege to play it. Looking forward to Vol. 2! Bonjour, thanks for your so great music I really enjoyed. I added it to my WJAZ broadcast play list on RADIO PLURIEL 91.5FM in France, plus worldwide INTERNET via our web site. Best regards, Jacques. 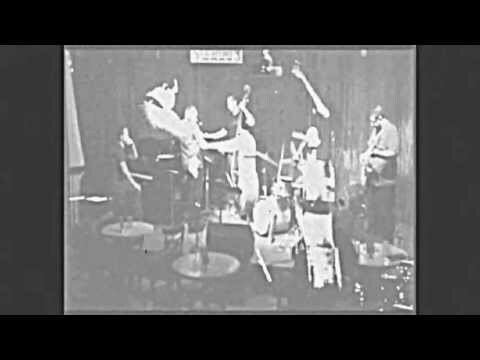 Buddy Rich like qualities coming from this young lion in Jazz. Looking to hear future sessions by him. "Colours of Jazz" which I am a presenter. This album has a timeless feel about it. I intend on featuring many more tracks on air in the future. - Larry Groves, jazz presenter 3mbsFm radio 103.5..Australia. This album was featured in Radiojazznacht. We presented four tracks. This means that it's great. We rarely present more than two or three from one album.